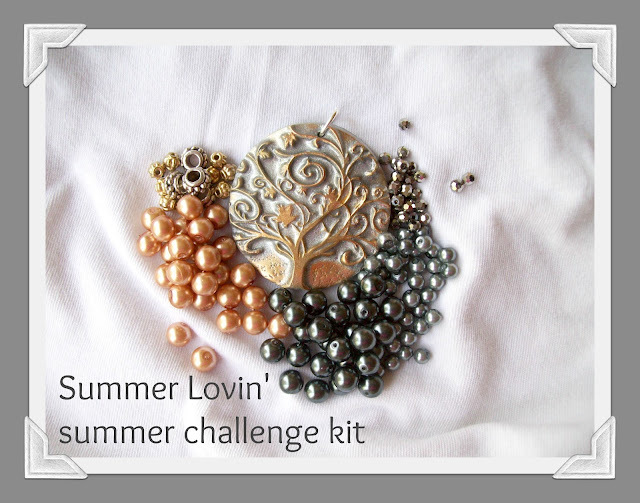 Amybeads: Summer Lovin' Kit Challenge! All the packages are ready to be shipped for participants in the Summer Lovin' Kit Challenge. Will you be one??? This challenge kit features a polymer focal from PennysLane. I discovered her shop when I was doing my "P" post during the A-Z challenge in April. 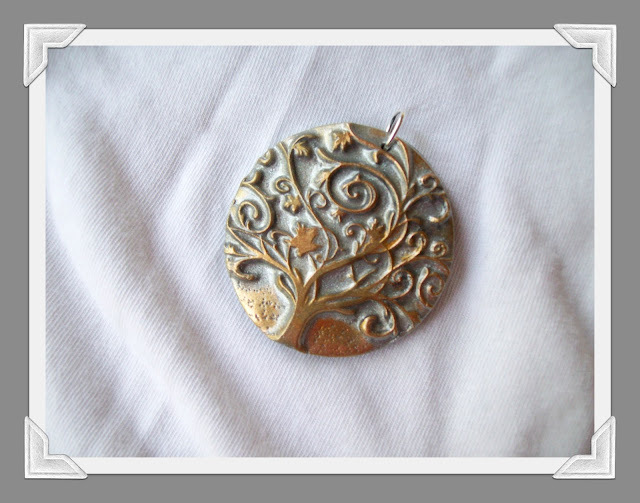 I've always loved Tree of Life images and it felt fitting for the summer too. I went with very neutral colors this time around, and I was feeling really sunshine-y with the gold, even though there is an equal amount of grayish silver! So here's the plan. I am going to sell this kit through the end of May (or until they run out). The blog reveal will be in a little over two months on August 1. The Kits are on sale for $4 (plus $2 shipping), and are available in my Etsy shop. Just click here to purchase one! Thanks so much for your interest in doing the challenge kits! I had SO much fun doing it last time and I was blown away with everyone's creations. 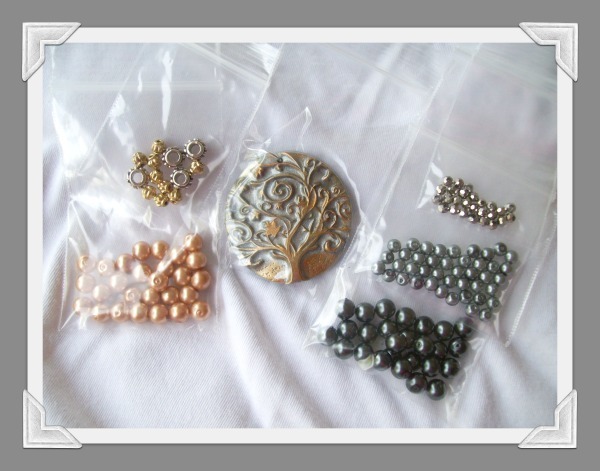 Also - please come back tomorrow, I will be reviewing Beadwork by KAS' (aka the lovely Kristen Stevens!) new tutorial "Pop up Pearl Bracelet." The pattern is awesome and I love it! I got a pack and can not wait to play with them after I get the other projects done that is. I'm off to check out Kristen's tutorial. Amy, I LOVE it! I just scooped up a kit to play with. Kristen told me you had posted this so I flew over here before you were all sold out. The timing of this challenge works perfectly with my schedule! YEAH! Can't wait! I just bought the kit...I can't wait to play with the goodies. The timing is perfect because my students finish finals tomorrow and after graduation on Saturday, I'm on vacation! Oh you!!!! You know I anxious await my kit AND tomorrows post! I am so happy to have you as a friend!!!! I am so excited to get the kit, this is my first challenge and I hope I do the project justice. Can't wait. I just bought my challenge pack, and blogged about it. Now I will be stalking the mailbox until my package arrives. Received my kit, and that pendant is totally gorgeous!!! Thanks so much! I just bought the kit. I joined because the time limit gives me time to do it. I'm going to blog about it. I've never really done a lot of beading and hope I can come up with something! I got my kit in the mail today and the packaging was beautiful...it was like opening a present full of beads! Amy I got mine done. I don't know if I like the way I have it and it might need to be redone on one part. I like it but have a section that turns on me.